Maruti Suzuki are master strategists when it comes to the small car business. Not only do they have a small car portfolio that is the envy of any manufacturer but they constantly go about reinventing and redefining the business as a market leader rightly should. Case in point this new Alto, before this did anyone really need a micro hatchback with an automated transmission. Not really, but after this new Alto, everybody is definitely going to want one! So the question is how do you introduce a much scoffed at technology such as the automatic transmission in the small car business? Well first you hope that a technology that provides all the benefits of an automatic transmission but has none of the weaknesses comes your way. Then you put it in a fancy new wrapper and just to throw in some additional goodies, you spruce up a few other elements. 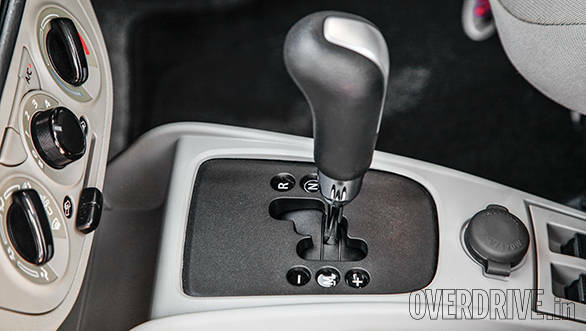 The technology in this case is the much touted and highly appreciated Automated Manual Transmission or AMT, which by the looks of it is quickly gaining quite a foothold in the Indian compact car market. Maruti was the first to embrace this technology which is nothing but a simple device that retains the manual transmission but does away with the clutch. The technology is simple, effective and highly rewarding as we can see with the increasing popularity it enjoys both with customers and manufacturers who are quick to adopt this technology. To introduce this technology in just the plain old Alto -now where's the fun in that. So Maruti drew up a new top hat for the Alto K10, revised a few elements, gave it a more modern look and feel, spruced up the interiors and effectively raised the bar with the Alto. Now you don't have just a small car everyone can buy, you suddenly have a small car that everyone aspires to own! And then to sweeten the deal some more you throw in stuff like an improved engine with better fuel efficiency, lower NVH, improved ride, new comfort features and added safety! And if my guess is correct, Maruti will make sure all of this is priced nearly the same as the Alto it replaces. 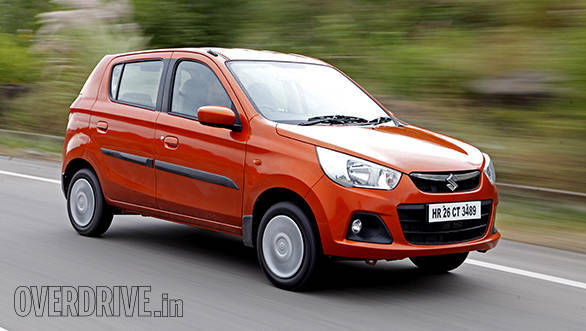 Here then in more detail is how Maruti intends to put another 25 lakh Alto's on our roads. Of course it's not going to happen with this particular model alone. But it's the start of another journey and one that I see will reach a tremendously successful conclusion. Let me begin with the styling the exteriors are not something that I found appealing. 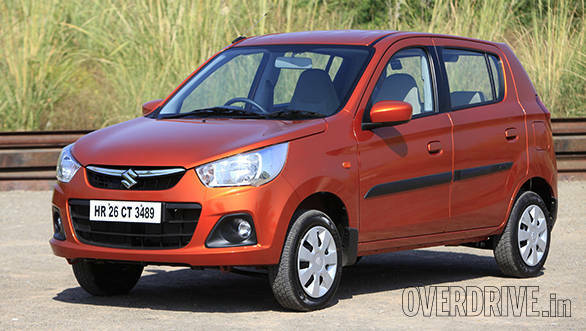 Not to say that I dislike it, but the new Maruti Alto, at first glance, simply did not evoke any emotions in me. It's a new design and frankly this is one company devoid of a homogenous design language. I like the fact that without a specific family resemblance, Maruti Suzuki has the benefit of a free hand when it comes to drawing up their designs. I don't like the fact that, despite this advantage they haven't really come up with an outstanding design in nearly a decade that would make the world sit up and applaud the effort like they did for the Swift. So the Alto K10 is a new design which has some interesting elements and others that I don't know what to make of. The hood, to start off with, I simply love the slightly beefed up bump running through the middle. It's a very subtle element and one that can easily escape the eye unless viewed from certain angles. It's a very racy and bold element for a car in this segment but certainly worth applause. After that though there is a bunch of hogwash design elements; large headlamps, a grille split into two sections one narrow and another wide that almost looks comic in some angles, darkened plastic fog lamp inserts etc etc. The smorgasbord continues at the rear where there is hardly anything designer as such. It's an effective tail end designed to do the right things and that's that. 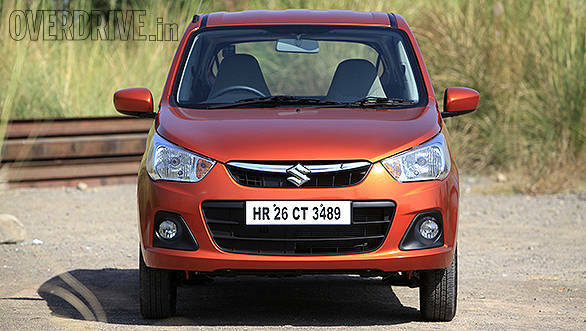 The dimensions of the new Maruti Suzuki Alto have changed, though it bears the same chassis as before. So while wheelbase and track stay the same, the length has been reduced by 75mm while height and width have increased by 15mm. The Maruti Suzuki Alto sits on skinny 155/65 R13 tyres that don't entirely fill the wheel wells but whose principal role isn't to look good but to enable better efficiency. As you can see I'm not a fan of that exterior! But what I am going to fawn over is the interior of the new Alto. 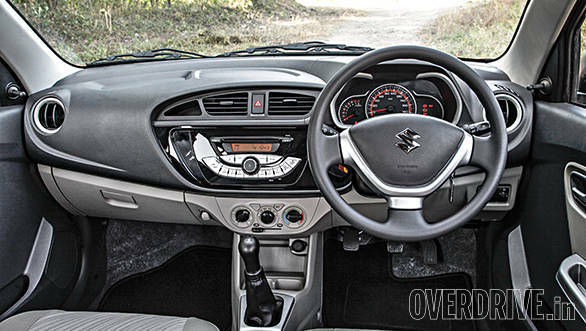 In the last few years Maruti Suzuki have been developing quality interiors for their cars. And the Alto, even though it is the most affordable or dare I use the word, cheapest car in their portfolio, is no stranger this time around to a fabulous interior makeover. The dashboard now comes in a two tone shade. The top half is a dull charcoal black that sits on a bright and cheerful beige base. This combination is spread all over the cabin with the doors also exhibiting this very smart colour scheme. The highlight of this cabin though is the centre console which is superbly finished and shows off a piano black top layer housing a slick and smart looking audio system. It's not a very intuitive audio system to use but it looks hot! Below that audio panel is a simple, neat, clean and devoid of any gimmickry air con control panel. Rotary knobs that look good and work smoothly, period. The steering wheel in the new Alto feels very familiar when you place your palms on the wheel though the three spoke design is new since it has to house the airbag module. Maruti claims the cabin of the Alto is roomier but with a 1.5 centimetre increase in height and width I'm a bit skeptical about this claim. It can only be verified once we get the car for a test and see just how much roomier it is compared to the previous gen car. 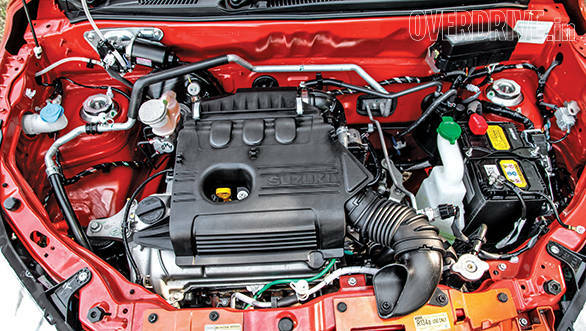 However to give them the benefit of the doubt, the Maruti engineers worked on reducing the size of the engine bay which theoretically should help them improve in-cabin packaging and space. The seats have been remoulded and at the front the headrest has been integrated into the backrest. For the rear passengers the backrest height has been increased by a few millimetres and knee recesses have been scooped out of the front passenger's backrest to enhance the sense of space. However this would have been a much better job if Maruti had to employ an even slimmer seat profile with firmer foam quality to provide better cushioning and support. The only grouse I had with this cabin is that I wish the backrest for the rear passengers was even taller. With my 5'9" frame perched in that seat, my head had no support from the headrest which barely reached the base of my spine. That's neither safe nor comfortable. Even my knees weren't too comfortable in the rear and taller people will have to sit quite upright to fit in. And finally the boot, the 177 litre cavity isn't amazing but a low loading lip and flat floor has its practical uses. And more than ever, a car of this size and stature that can still offer a full size spare wheel is just a marvellous value addition in this day and age when even luxury car manufacturers with sedans of enormous proportions fail to do so. 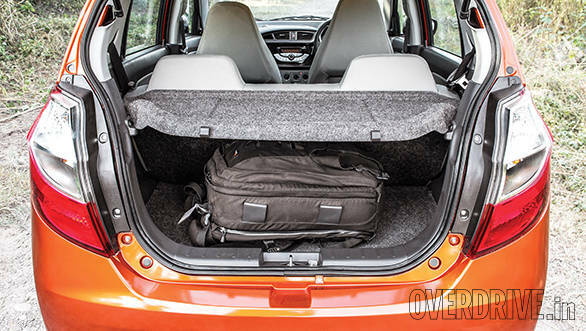 Now coming to the all important part, driving and the highlight in the new Maruti Suzuki Alto is its AMT box. There was a time when customers would have scoffed at the idea of an automatic in this segment. But Maruti have firmly driven home the point that something like the AMT does not deprive the car of the same efficiency as a manual transmission. I really wont dwell much on the manual transmission since the gearbox hasn't changed and neither has the engine. 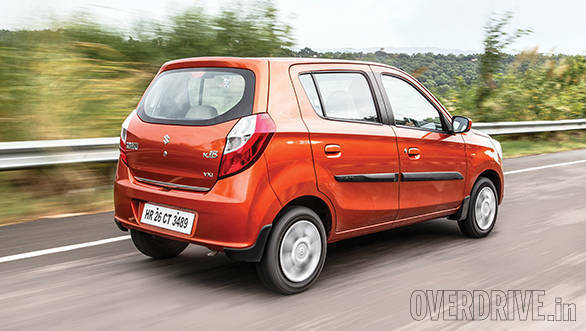 The new Maruti Suzuki Alto has the same 1.0-litre K10 petrol and it's more efficient but not more powerful or torquier than before. It's a remarkably zippy car and one of the few naturally aspirated engines that you really enjoy whipping. Its short quick bursts of power (68PS) peak out at 6,000rpm and almost instantly you hit the rev limit at 6,500rpm. People who have driven this car before will recognise the feeling it stirs, to me it was fun on a completely different level. Being able to snap away from traffic lights quicker than most cars and then watching the expression on their drivers' faces as a this small car darts away with unbelievable pace is a delight. The shift quality isn't superb or immediate but its comfortable enough without being intrusive. In urban crawl speeds the shift quality is seamless and there really isn't much to complain about. As speeds increase and you need quicker movement between the gears the shifts are perceptible and with a fraction of a seconds lag. Then it does not feel as seamless and its best to shift into manual mode. One flipside to the AMT is that in fifth gear as your speeds get to three digits the transmission starts jumping between fourth and fifth gears to try and keep the car in the power band and this causes the Alto which sits on skinny 155/55 R13 tyres to get skittish. Not an entirely pleasant situation to be in and we highly recommend you don't make a foolhardy attempt to reach its top speeds.